We’re big Scott Adkins stans around these parts. 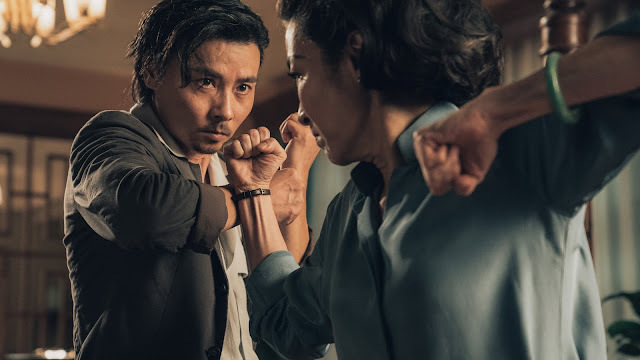 He’s one of the best movie martial artists working right now and, outside of a few dalliances with big time Hollywood blockbusters like Doctor Strange, he almost exclusively makes the kind of mid-tier actioners that haven’t been mainstream since the ‘80s and ‘90s. Today marks the release of his epic team up Triple Threat, which you should watch ASAP, but he has another badass project on the way, the prison revenge movie Avengement. Watch the first trailer below. Uh, yeah, this Avengement trailer looks rad. Like pure prison exploitation rad. 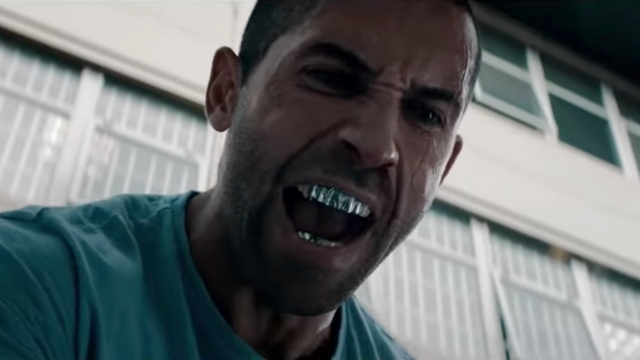 It’s down and dirty and nasty and mean and has Scott Adkins sneering through a gnarly silver grill as he takes dudes apart. What the hell is there not to love? Avengement also reteams Adkins with Jesse V. Johnson, who directed the star in Triple Threat, SavageDog, The Debt Collector, and Accident Man. Johnson’s become the go-to for this type of throwback DTV-style action and when he and Adkins get together, damn fine times are to be had. This might be my favorite actor/director duo currently working. Timo Tjahjanto and Iko Uwais is the only other one in the same league. I always see people clamoring for Scott Adkins to front some big blockbuster franchise—there’s a Scott-Adkins-for-Batman push going on right now in certain circles—but as much as he deserves the recognition, I hope he keeps working in this realm. For my money, this is where his talents shine brightest and where his skills are best utilized. Can’t begrudge a guy success, but this is definitely my preferred type of action movie and he makes the best ones going right now. My two cents. Avengement hits VOD and streaming on May 24.